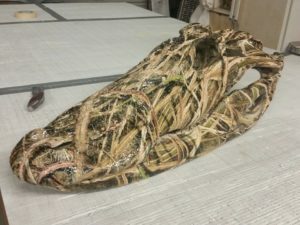 Liquid Images, Inc. is family owned and operated Hydrographics company located in Central Florida since 2010. Liquid Images, Inc. customers include Universal Studios, transportation equipment companies, aerospace engineering and outdoor industrial distributors. No job is too large or too small. Because we tackle our jobs regardless of quantity or size, we will be able to take care of your project regardless of complexity . We handle commercial or one-of-a-kind projects with the same level of professionalism. Furthermore, we will be happy to discuss any upcoming projects or ideas you may have for a custom dipped or painted gift. Because we want customers to keep coming back, we will treat you right! Feel free to Contact us today for a quote on your next project!